Summary: A St. Louis auto accident attorney can help you understand what your case is really worth. 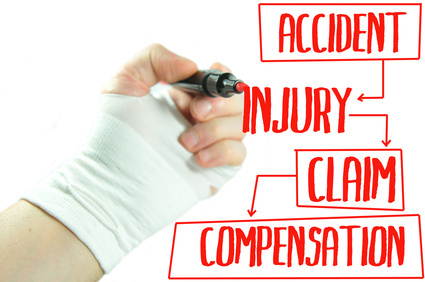 Before you make an auto accident injury claim, you need to know how much your injuries are worth. Damages include the costs of medical bills, lost wages, damage to property as well as other expenses, often including compensation for pain and suffering. After an accident has occurred it is extremely important that you keep all receipts and bills related to your accident. These will prove extremely useful to your auto accident attorney, as it will help them factor damages into your overall claim. Pain and suffering are often further categorized into two categories: Current pain and suffering and future pain and suffering. Current pain and suffering is the suffering you endure from the time of the accident to the time your medical treatment is finished. Future pain and suffering refers to the pain you may endure during the treatment as well as into the future. The longer your pain and suffering takes the higher your settlement. What you’ve lost in the process. For example, you might not be able to go back to work after getting involved in the auto accident. Do you need an auto accident attorney to help you do this? Figuring out the actual worth of your claim is a task on its own. You may have a hard time knowing whether the insurance company has compensated you fairly or not. This not only requires you to be extremely organized, but also have a thorough knowledge of laws pertaining to auto accidents in the state of Missouri. In short, you likely need help, and no one can do this better than an auto accident attorney in St. Louis, Missouri. Remember, insurance companies are not on your side. Because the insurance company's financial interests are in direct conflict with yours, they will go to great lengths to minimize the severity of your accident claim. Can an auto accident attorney help you get a higher settlement? One of the reasons you are highly advised to work with an auto accident attorney is because he or she will know the auto accident laws in St. Louis in and out. Hiring an attorney can increase your chances of obtaining compensation, while saving you time and energy that is best spent recovering from your accident. If you have been involved in a St. Louis car accident, we can help! We are available 24/7, nights and weekends, at (314) 361-4242! Call us for a free consultation.